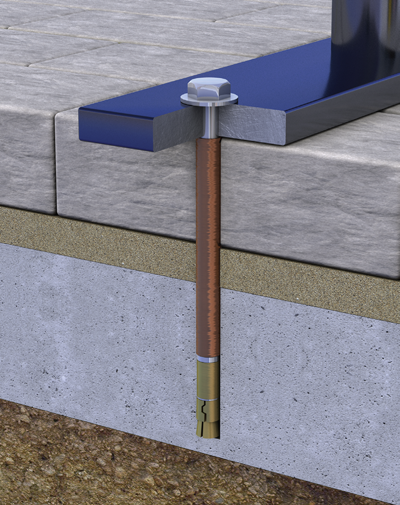 As standard, all of the products in this range except the Arlington and Plymouth are supplied with extended legs to concrete them into the ground. This method suits grassed areas, small block paviours and areas which will have a final surface of bituminous macadam. 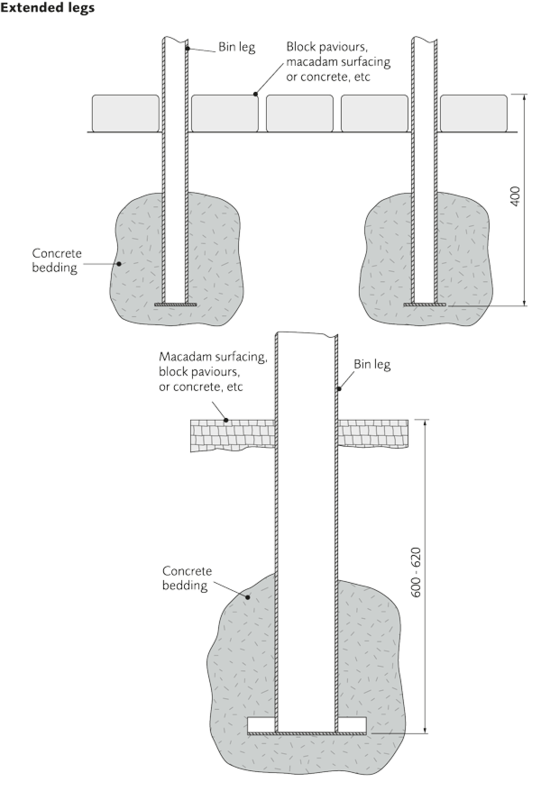 It is a very secure method of fixing, but involves excavating the ground. The assembled seat is accurately positioned into 400mm deep holes which are filled with concrete bedding. This can be laid to the final ground level to form a concrete pad around the seat. If stopped short to allow for other ground finishes, the paviours or macadam are laid around the legs of the seat after the concrete bedding has set. 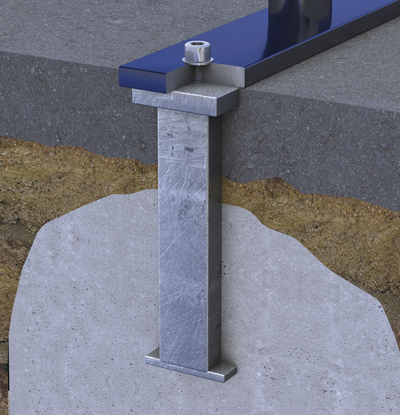 Pedestal base seats can be rawl bolted to an existing surface of sound concrete, or well laid traditional size concrete or stone slabs, using these M10 rawl bolts. This method is not normally suitable for installing seats onto small block paviours. The bolts in these options are stainless steel. 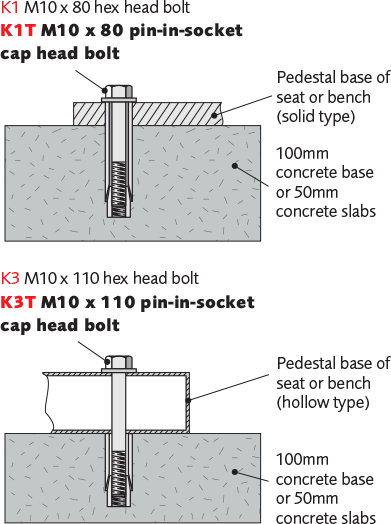 For the installation of pedestal base seats onto small block paviours, typically 60mm thick, we recommend either the K4, K4T, K10 or K10T M10 x 180 extended rawl bolts, or K12 M12 x 240 extended rawl bolts, with semi collapsible spacing tubes. 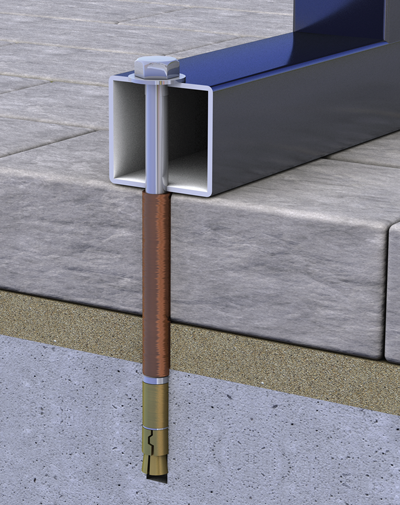 The spacing tubes hold the rawl bolt shell in the concrete (which must be laid beneath the paviours) whilst the bolt is being tightened. 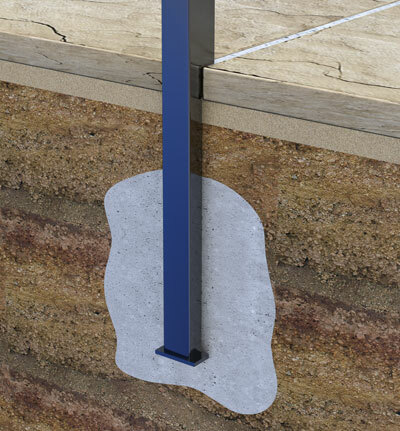 It is recommended that the paviours in the area of the seat are bedded on top of the concrete using a semi dry sand cement screed about 20mm thick. These kits are also suitable for fixing seats onto surfaces of bituminous macadam, laid on top of concrete. These extensions have the advantage of offering a very strong and permanent installation, though they are more work than the K4, K10 or K12 fixing kits. This means of fixing is suitable for grassed areas, small block paviours and macadam surfaces. The extensions are bolted to the feet of the seat and then accurately positioned in the concrete bedding, using the seat as a template. After the concrete securing the extensions has set, the seat is removed, and the final surface is laid to the tops of the extensions. The seat is then returned to the site and finally bolted down. All the bolts in these options are stainless steel. The K5 options are 225mm long, and the K11 options are 400mm long. K5 and K11 have socket cap head bolts. K5C and K11C have coach bolts (which are very tamper resistant, but difficult to remove if ever the seat needs to be moved). 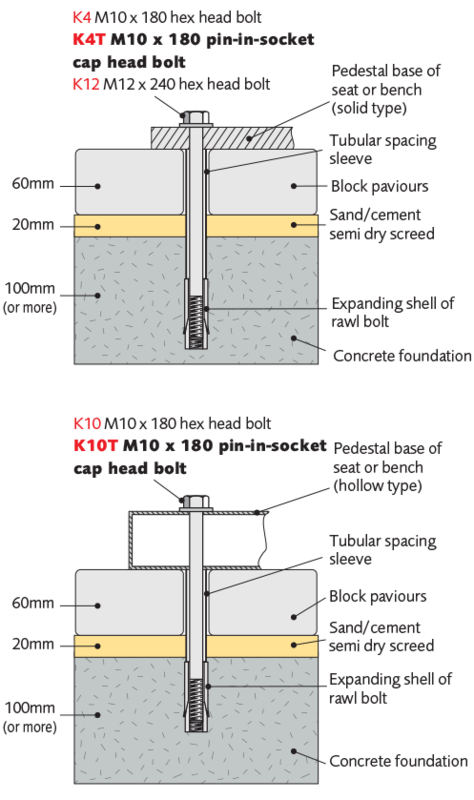 K5T and K11T have tamper resistant pin-in-socket socket cap head bolts to reduce the risk of unauthorised removal. As standard, all litter bins are supplied with extended legs, or an extended single post mounting to concrete them into the ground. This method suits grassed areas, small block paviours and areas which will have a final surface of bituminous macadam. It is a very secure method of fixing, but involves excavating the ground. 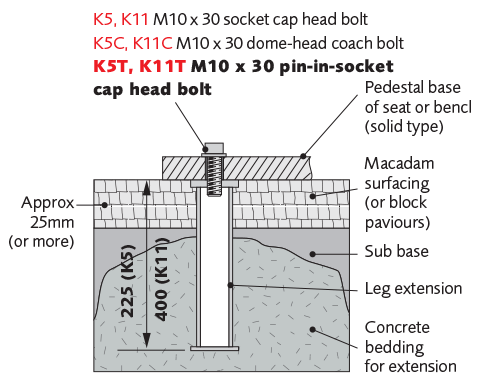 The bin is accurately positioned into holes (300 - 620mm deep, depending on model) which are filled with concrete bedding. This can be laid to the final ground level to form a concrete pad around the bin. If stopped short to allow for other ground finishes, the paviours or macadam are laid around the leg or legs of the bin after the concrete bedding has set.